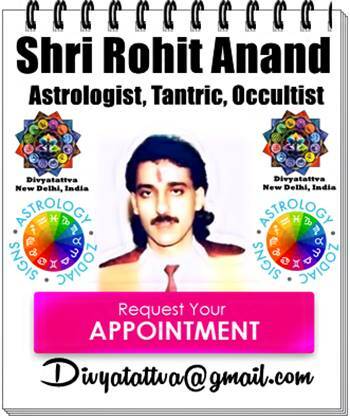 Lord Vishnu is the supreme god in Vaishnavism, one of the three deities of Hinduism who is known by vaious names such as Narayana and Hari etc. 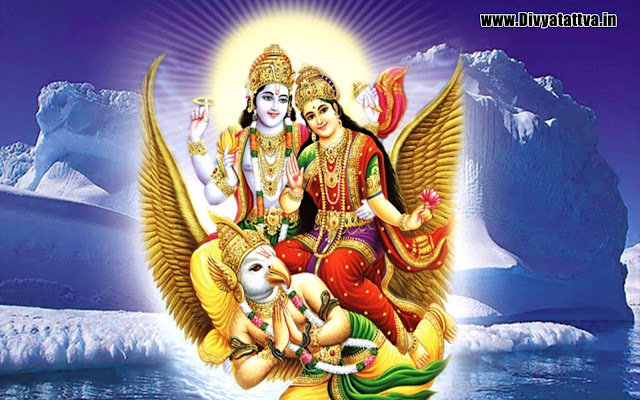 Here are some beautiful God Vishnu wallpapers with goddess Laxmi, Lord Narayan with Ma Luxmi on Garuda for free download. 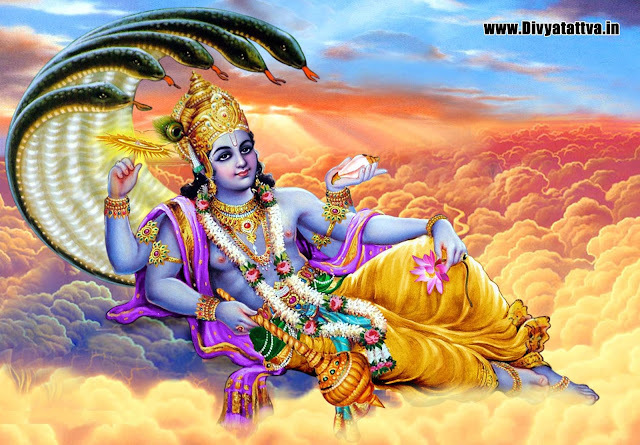 Hindu God Shri Hari HD background image showing nagaraja or king of all nāgas and one of the primal beings of creation in the universe. 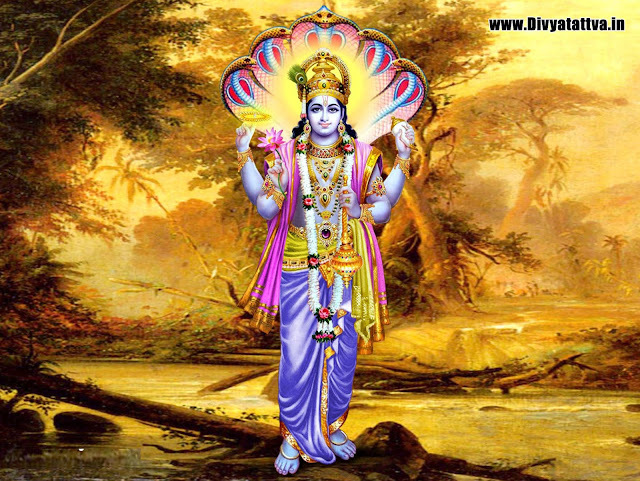 Lord Vishnu Narayan on king of serpants "Sheshnag" wallpaper fully size.